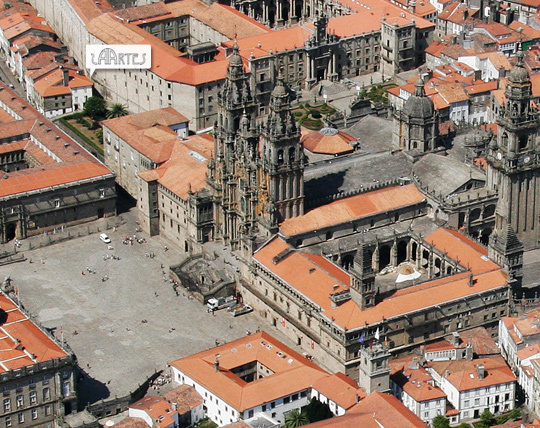 Hotel As Artes is located a few steps from the Cathedral and the Plaza del Obradoiro. The hotel is located in the heart of the story, because in addition to the cathedral, is surrounded by a tenth-century Benedictine monastery, a former Royal Hospital XV century and twelfth century palace. Although the situation is privileged, is accessible by car to the front door. There is a large car park nearby (100 meters), it is not necessary to book. During the day, shops, promenade, cafes, restaurants, etc.. are within walking distance of the hotel. During the night, the leisure and entertainment areas are far enough removed, ensuring a quiet rest.